For high energy gamma rays (greater than 1.02 MeV), electron-positron pair production is a possible interaction. But a positron may then annihilate in the detector or in the surrounding material. 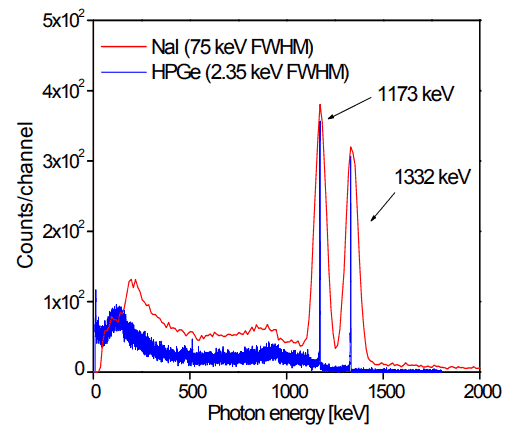 If both 0.51 MeV annihilation photons are absorbed in the crystal, a secondary peak 1.02 MeV below the photopeak can be found. If one annihilation photon is absorbed and the second exits the crystal, then 0.51 MeV is removed from the photopeak, resulting in a secondary peak 0.51 MeV below the photopeak. The probability is greater that one annihilation photon will be absorbed.